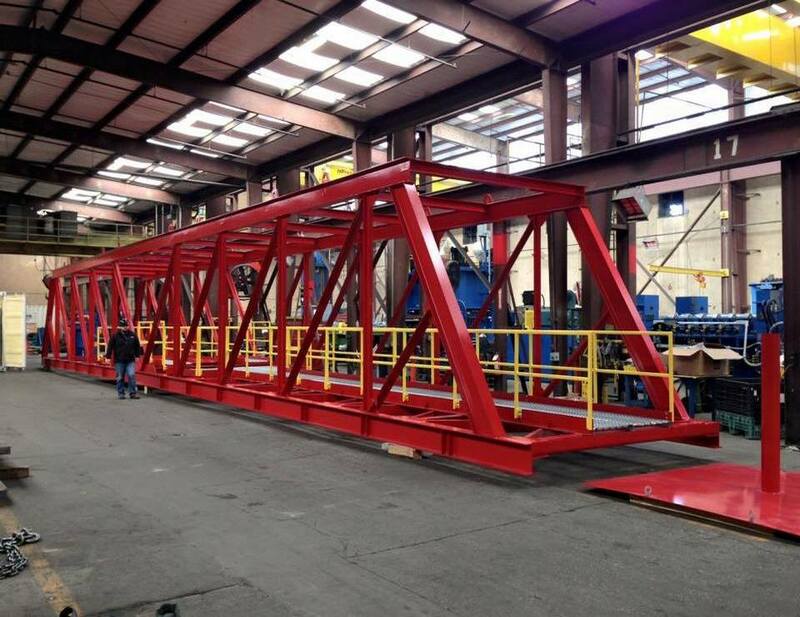 Delta’s heavy fabrication services offers a large and heavy fabrications for commercial and industrial applications. We offer fabrication methods such as cutting, sawing, machining and welding. Working with carbon steel and various alloys enables us to fabricate components for most industries. With multiple 70 Ton cranes our facility can accommodate parts that weigh in excess of 200,000 Lbs. Our plate cutting capabilities are 14″ thick, 240″ long and 96″ wide. With multiple saws, we can cut sections of virtually and size. Our large lathes can accommodate 84″ Diameter up to 20′ long. Our large boring mills cans be used to machine enormous structures for all type of applications from skids to gear box housings we are a one stop shop for all you fabrication needs.